It’s no secret that the first year as an NQT is challenging. And there’s no escaping the stories about how demanding a teacher’s life can be. But beginning your teaching career shouldn’t feel like you’re about to go into a long and bloody battle. This should be an exciting time when you finally get to put everything you’ve learnt into practice and begin the career you’ve longed to join. And it’s not just NQTs that can feel nervous about the year ahead. Perhaps you’re a teacher returning to the profession after a career break and are equally as apprehensive. So, rather than viewing your NQT year as going into battle; a better approach is to treat it like a marathon. Yes, you’ll be nervous as you approach the starting line but confident that your training has prepared you for what’s ahead. And by looking after your mind and body, planning ahead and taking advice from those who’ve successfully completed the course; you’ll not only reach the finish line in one piece but will finish with a huge amount of pride and accomplishment. Behaviour Management – This is usually the first concern for NQTs as they begin their new role. Work-Life Balance – As you settle into the role, you’ll soon get a feel for the balance (or lack of balance) in your life. Seeking Help – As you near the end of your first year, it’s time to look to the future and seek advice for your ongoing career progression. One of the biggest concerns for most NQTs, and teachers returning to the profession, is how to manage pupil behaviour. Set clear rules and boundaries from day one and stick to them. Write your classroom rules where pupils can see them. Understand your school’s behaviour and discipline policies. You don’t want your pupils to know them better than you do. Use a seating plan to help you remember names. You could also tell pupils where to sit rather than letting them choose. In 2015, the Association of Teachers and Lecturers found that almost 80 per cent of trainee, student or newly qualified teachers considered leaving the profession because of their workload. So, getting a good work-life balance is vital if you are to enjoy a long and happy career in teaching. As you settle into the new term, you’ll soon have a good understanding of what your normal day-to-day workload is likely to be. Create an efficient filing system for lesson plans and resources before the start of the year. Collect resources on a continuous basis so you have a ready supply when you need them. It’s important to seek help from your mentor and more experienced teachers throughout your first year. And as the year draws to a close, you’ll naturally start thinking about the future. There are many diverse career opportunities in teaching and by talking to those with more experience, you’ll be able to think about your own career progression. Hopefully you’ll reach the end of your NQT year with a real sense of achievement. But if you’ve had the year from hell; don’t despair. Remember there are other schools. No two are the same and a bad experience in one school doesn’t mean you are a bad teacher. 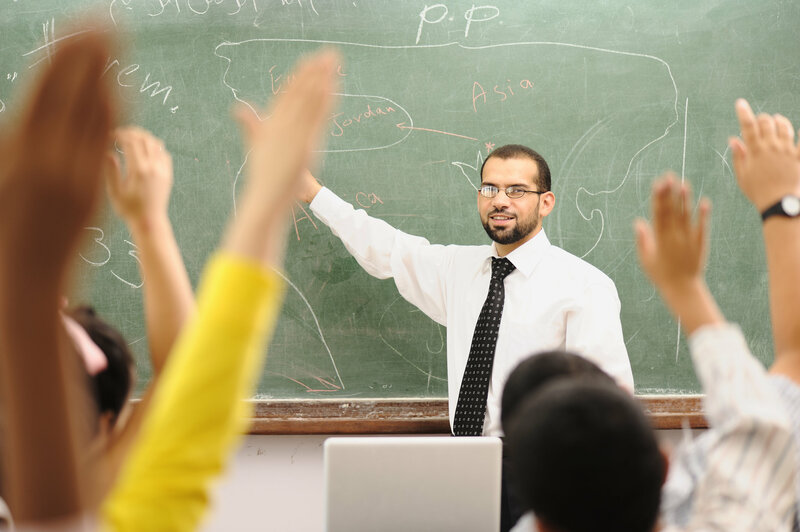 Simply changing to a different school could give you a whole new outlook on teaching. Thanks for the advice, really helpful!